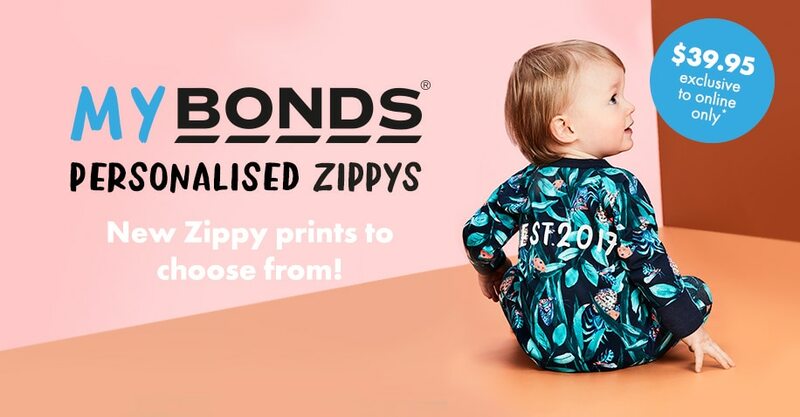 Personalise your Zip Wondersuit online with Bonds. Customise your Zippy by choosing from a selected range of styles and adding a baby's name or year of birth. Pick a placement print and location, review your design and complete your order. Available exclusively from Bonds online, personalised Zippys make the perfect baby gift. Make it personal, make it Bonds!